I’ve always associated apple cider with Thanksgiving, as it was a special treat that our parents would give us every November. If you’re looking for an easy dessert that travels well, these apple cider cupcakes are the perfect seasonal treat. The smell of apple cider mixed with vanilla cake reminds me of home. And if you’re a spice cake or apple pie fan, you’ll enjoy tasting the aromatic trio of caramel drizzle, buttercream frosting, and apple-spice cake. The best part? They start with a basic gluten-free cake mix, so you can skip the million ingredients it typically takes to make a plain cake batter. 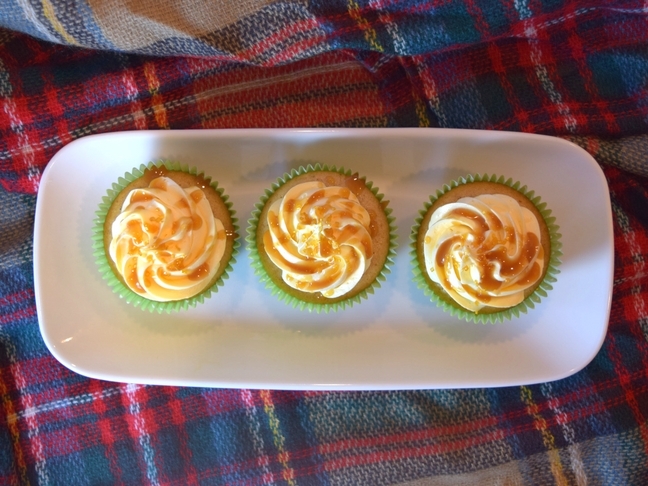 I loved making these apple cider cupcakes; it’s the perfect ending to a winter night of laughter and fun. 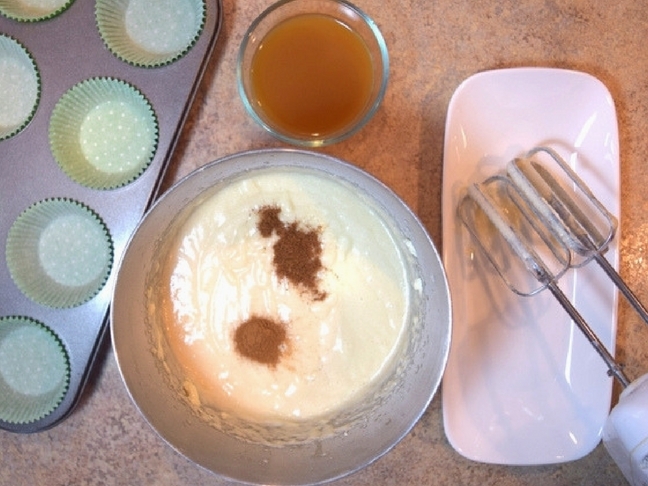 Step 2: Next, start your batter by mixing your cake mix and butter in a large bowl. Then, add in your eggs, water, vanilla extract, nutmeg and cinnamon. Step 3: Then, slowly pour in your apple cider and mix the batter again. 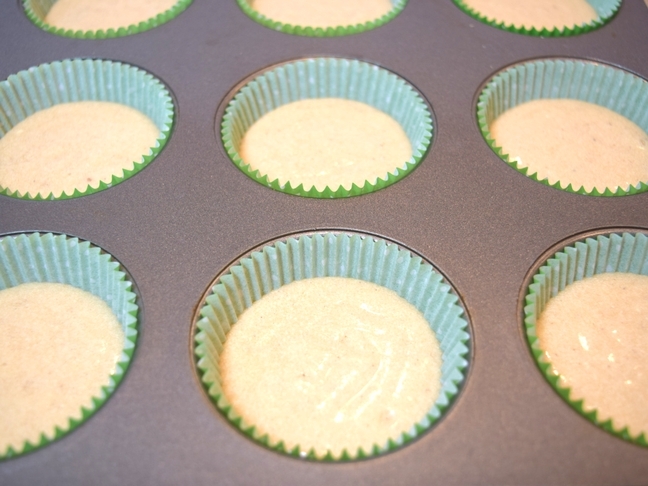 Step 4: Next, pour the cake batter into paper baking cups, filling each cup ⅔ of the way. Step 5: Bake at 350 degrees for 20 minutes. 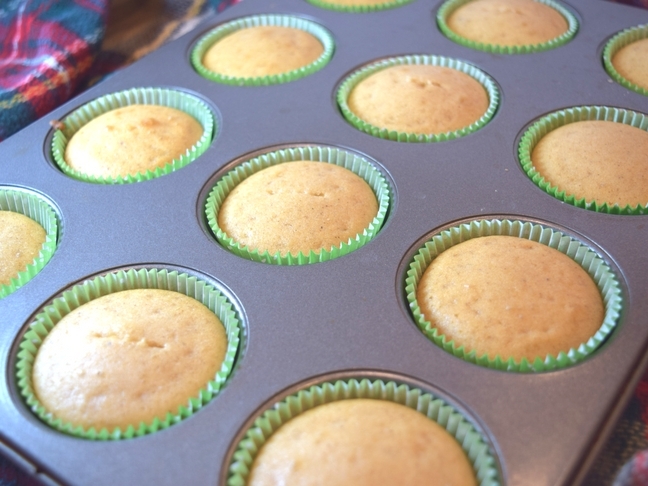 Step 6: Remove cupcakes from the oven and let cool. 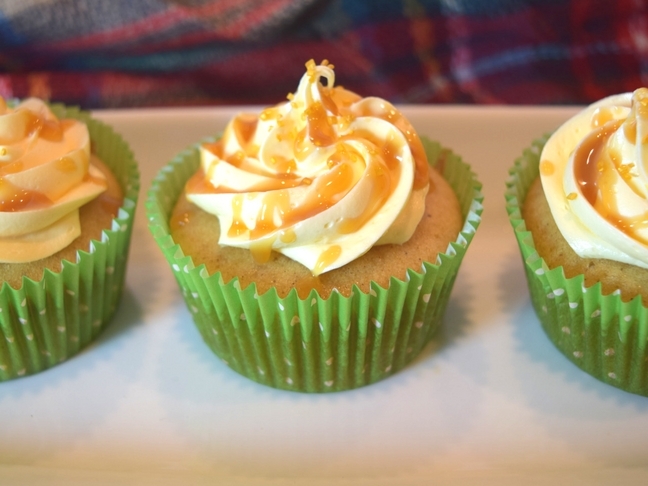 Step 7: Ice cupcakes with buttercream frosting and drizzle caramel sauce on top.